In a magical kingdom beneath the sea, the beautiful young mermaid, Ariel longs to leave her ocean home to live in the world above. The animated Disney film on stage, what a wonderful way to say good bye to summer. This fishy fable will capture your heart with irresistible songs, including “Under the Sea’, “Kiss the Girl”, and “Part of Your World”. All the familiar characters will be there: Prince Eric, Ursula, Ariel, Flounder, Scuttle, Sebastian and King Triton. The bus will leave from EWC in Torrington at 9:00 am and we will dine on a delicious buffet at MJ’s Ranch House Restaurant. The deadline for paid registrations has been changed to Wednesday, August 1. A minimum of 36 paid registrations are required. The cost of this trip is $60. To register for this trip or other Community Education offerings, please contact Donna at 307.532.8323 or stop by 3200 West C Street in Torrington. 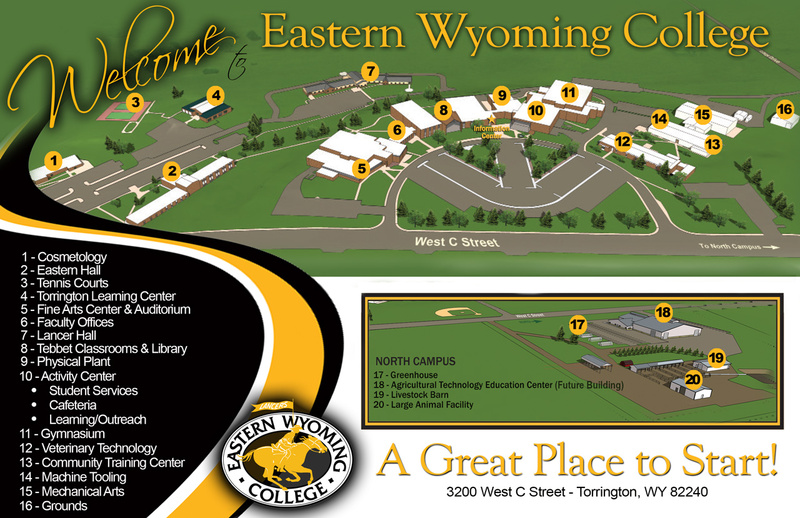 Community Education is located in the CTEC building. There are four 15 minute parking spots available directly behind the Veterinary Technology building for Community Education patrons.